In this DX article, Hope explains what’s in the new congressionally mandated Dietary Guidelines. 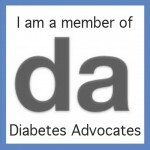 She reviews the guidelines history, shares what’s new in them, details their five guiding principles and discusses how they apply for people with diabetes. In anticipation of the big reveal of the 2010 Dietary Guidelines on 1/31/11, dietitian and author of The Zied Guide, Elisa Zied, went to a handful of dietitians to ask what they wish for in this next iteration titled Experts' Wishes for New Dietary Guidelines. My wish? The 2010 Dietary Guideline committee is continuing their work on revising the 2005 Dietary Guidelines. The full committee held their third meeting on April 29 – 30, 2009. I attended the meeting via webinar, as did all observers. The meeting began with a series of talks by invited experts, such as Brian Wansink, PhD, Frank Sacks, MD, and more. The remainder of the meeting revolved around presentations of the subcommittee reports. Attending meeting #3 again proved to be enlightening and educational. The 2010 Dietary Guideline committee is at work revising the 2005 Dietary Guidelines which is mandated by Federal law to be done every five years under the direction of either Health and Human Services (HHS) or U.S. Dept of Agriculture (USDA). HHS took the lead in 2005 and this time around the USDA is taking the lead. The work of the committee and staff will conclude with the publication of the revised guidelines in fall of 2010.